Office Lens is like having a scanner in your pocket. Like magic, it will digitalize notes on whiteboards or blackboards. Always find important documents or business cards. Sketch your ideas and snap a picture for later. Don't lose receipts or stray sticky notes again! - Now you can convert your pictures to PDF files with selectable text, in addition to Word and PowerPoint files, and save them to OneDrive. - Printed text will be automatically recognized (using OCR) so you can search for words in images and copy and edit them. - Pictures are saved to your camera roll and also directly into OneNote, so you can see the images across all your devices. - Choose to convert images to PDF (.pdf), Word (.docx), or PowerPoint (.pptx) files that are automatically saved to OneDrive. 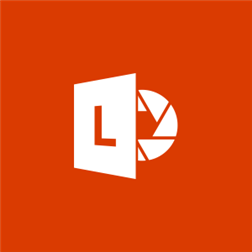 Office Lens requires logging in with your Microsoft Account. Your Microsoft Account must be same as the one registered on your device. - Business card mode: Introducing an experimental feature that lets you capture business cards and extract their contact information into OneNote. Contact information is also saved as a VCF file that you can open from OneNote on your PC or phone and add to your contact list. This feature works best with US English-based business cards right now. - Images are processed faster, especially on budget devices.